Dream interpretation is big business in America. That’s because dreams themselves are so interesting and often puzzling and we would like to understand them better if we can. Actually, we can probably interpret most of our dreams ourselves – with a little help. Perhaps we just need a few ground rules which I will share with you here. After that…happy dreaming! As you begin to try to understand your own dreams, it’s important to remember that dreams are part of God’s design for your health and well being. Just like your heart or your lungs have a purpose for your body, dreams have a purpose too. 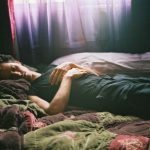 Dreaming can be a connection to areas deep within yourself being worked through in ways you cannot manage in your waking state. I remember going through a computer conversion once in which several solutions to problems came to me in dreams. I would wake up in the middle of the night and write down what I got through dreaming and implement it the next day at work. Dreaming is also a mechanism to connect with God and receive messages from him regarding your life or your future. I believe God commonly uses dreams to speak to us and for that reason alone, it is a good idea to pay attention. People who say they don’t dream or don’t remember their dreams are missing out and should develop a way to key into their dreams. The most important rule in interpreting your own dream is answering this question: what did the dream mean to YOU? You may say; “Well if I knew that I wouldn’t need help with the interpretation.” What I am saying is to trust yourself as you separate out the elements in the dream and analyze the associated symbols and emotions. The dream came to you and you have within yourself the best ability to understand what those particular elements mean. There are classic common dream symbols but they may not fit your dream and you shouldn’t try to force them. Interpret out of your own well of understanding before going to standard symbol meanings. See Dream Elements for more information. Also, all details in a dream are not important. Was that house or that color or that person in the dream meaningful to YOU? If not, it’s probably just something random that made its way in and won’t be helpful. Record your dreams while they are fresh. If possible, keep a journal close by your bed and jot down at least the high points as soon as you wake up. It is often the case that dreams fade very quickly after waking so catch them before they go. It is also helpful to use a journal to better track reoccurring dreams. A dream from God usually breaks this rule. Supernatural dreams are often more vibrant and indelible and if you have one like that you won’t normally forget it even over time. There is a dream I had more than thirty years ago and I still remember every detail. If there are others in your household, share dreams with each other. When I was a child we used to all tell our dreams at the breakfast table. It helps awareness and aids memory. The one who knows the exact interpretation of every single one of your dreams is God. Ask him! Believe me, he wants you to know and understand. Pray before you go to bed that God will speak to you in the nighttime and when you awake that you will understand how he did. When you have a puzzling dream, submit it to God and ask him to make known the meaning. Then let your mind relax about it and wait. It may come quickly or over a few days or weeks. Recently I had a dream with an unusual subject matter – the entire Supreme Court in my back yard – and as I was waking up I said to myself; “I wonder why I dreamed that; what does it mean God?” Almost immediately, a sentence came into my mind that interpreted the dream in a very simple way. Later that day I shared the dream with a few other people without telling them what I got for myself. They had more elaborate interpretations but none of them rang true to me. I feel pretty sure that one sentence was God’s take on my dream. Recently I heard a supposed dream expert say on TV that you shouldn’t be upset about nightmares because they are pointing you to some problem that you need to address in your life. Instead, she said, you should welcome nightmares. I wouldn’t agree with that. Yes, sometimes a scary dream reveals an issue that you need to face but what if the dream is coming from the demonic realm? It is something to consider. Are you having reoccurring nightmares? How severe are they? Do you feel hopeless, terrified, driven or depressed after the dream? Does it feel like someone else is in control in the dream? If you have nightmares, pray before you go to sleep each night that God will put a hedge of protection around your dreams. Make a prayer out of one of these two scriptures. Another suggestion if you have nightmares often is to consult a doctor. There are some physically based things which cause nightmares; why not rule those out before going any further? Please see a physician for sure if you sleep walk because that can have potentially very dangerous consequences. 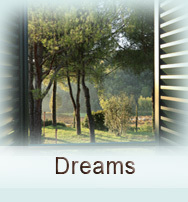 Dream interpretation is big in the New Age movement so be careful about using any books or manuals from that viewpoint. I suggest a Christian perspective for all your dream interpretation beyond what you can do for yourself. Try my book, Dreams: God’s Voice in the Night . Or, try Dream Interpretation (A Biblical Understanding ) by Herman Riffel; Dream Language by Jim and Michal Ann Goll; Exploring the World of Dreams (A Scriptural Guide to Hearing from God in the Night Season) by Benny Thomas; or Interpreting the Symbols and Types by Kevin J. Conner. Christian Dream Symbols Dictionary to start. But really, the first thing to do is ask yourself what a particular thing means to YOU. If you can see no special significance, move on to its use as a commonly understood symbol. For instance, a turtle denotes slowness, a fox is sly and wily, the color green is restful, the number seven means “complete” in spiritual terms. The list goes on and on. You probably don’t need to get too far off the beaten path in understanding the elements of your dreams. The emotions you feel in your dreams are extremely important in interpreting them. It may be even more important than the dream sequence itself. Pay close attention to every feeling and emotion played out in each dream. I once had a dream in which I was in a war. I woke up and felt that I truly understood the horrors that each soldier must feel. My emotions were crucial in understanding the interpretation of my dream. Now, may you be blessed in your sleep and in your dreams. May God speak to your heart through the nighttime hours and draw you ever closer to himself. Sweet dreams! Thank you so very much Barbara for your dedication to teaching others about dream interpretations according to the Word of Almighty God. I came across your site a few years ago and have kept returning when I want to know the meaning of symbols, so when I searched for your site again today I was so happy to see your updated site. Do you do dream interpretations, as I would like to decode a dream I had? Either way I wanted to say thanks so very much and keep up the good work for the Kingdom of God. I’m so sorry but I don’t do individual dream interpretation because I don’t know the person and their life well enough to be accurate. Dreams should always be evaluated within the context of the dreamer’s life. My book, Dreams, God’s Voice In the Night helps with dream interpretation principles. Available at Amazon. Thank you for writing. Your comments are very encouraging. I’d like to ask if dreams are 90% about the dreamer? What if for instance you dreamed of another person experiencing a certain situation. Does it count as yours, or to the person who was in your dream? Great question. The rule of thumb is that dreams are nearly 100% about the dreamer.The exception is prophetic dreams in which the dreamer is being given information about someone else or maybe a message for the church. The prophetic dream feels entirely different from your run of the mill dream (read more detail about prophetic dreams in my book, Dreams, God’s Voice in the Night.